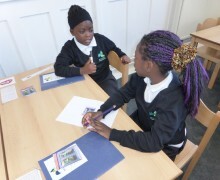 At Woodhill Primary School, we ensure that learning is planned for all in a cross curricular way. This ensures that children are able to make links within their learning. Lessons challenge all pupils through a variety of activities, providing opportunities for feedback from adults and peers. Through the high expectations of everyone at Woodhill we aspire to achieve outstanding outcomes. In Year 3, during the spring Term, our core texts will be ‘The Tin Forest’ by Helen Ward and ‘Garbage Guts’ by Heidi Auman, as well as taking inspiration from David Attenborough’s popular documentary series ‘Blue Planet’. Our core texts will serve as an inspiration to explore various areas of the curriculum in an exciting and creative way. During the Spring Term we will be mastering the skills needed to compose a narrative piece of writing around an Old Man’s experience of inventing a machine that will rid the world of pollution and encourage recycling. Our second core text will inspire us to write a persuasive letter and fact file around the issues of plastic waste in and around our oceans. Our core texts for this term will enable us to use an increasingly varied and developed vocabulary whilst developing our speaking and listening skills. In Science, we will be learning about forces and magnets in Spring 1. In Spring 2, we will be looking at the topic of animals and their relationship with humans. We will be conducting a range of science experiments to further and deepen the understanding in this area as well as our scientific investigation skills. Over the course of the Spring term, we will be learning how to differentiate between the different months of the year, as well as counting up to 30 in order to advise others of our birthday. Across the entire term, our learning will be focused on upcycling materials to turn ever day objects in to fabulous items of clothing. In the second term, we will be using our new knowledge of animals to start a WWF appeal, using film and blogs to spread the word on animal conservation. This project falls in line with our topic, exploring the necessity of sustainable development on the environment; themes addressed in both texts across the term. In PE, we have been developing our fundamental ball skills. In spring 2, we will also be learning to express our body movement through dance and we will have exciting outdoor adventure activities. In RE, we are learning about the important beliefs and concepts of Sikhism. We will be developing our knowledge and understanding of the Sikh place of worship and their holy festivals. We will use our own beliefs to find links between different religions. Following on from this, we will be learning about Buddhism and gaining a better understanding of places of worship. We will broaden this understanding by visiting places of worship in the local community, including a Sikh Gurdwara. In Maths we will be focusing on developing our knowledge of multiplication, using a variety of skills and methods to divide and multiply 2-digit numbers. We will then be applying these skills to develop our knowledge of money and how to use this knowledge in everyday life. We will then begin to develop our understanding of data handling and applying these skills to the real world. Parents can help their children over the course of the year by regularly practising their times tables. In lower Key Stage 2, children are encouraged to read every night and record this in their reading record books. All children have access to a wide variety of books in classrooms and are encouraged to choose a book of their choice and also a book levelled at their ability. Parents can support their children's learning through reading with them every day and taking children to the local library to read about our topics. We welcome parental involvement in the life of our school and will be holding regular open mornings to showcase how we learn at Woodhill. In Stage 2, children are encouraged to read every night and record this in their reading record books. 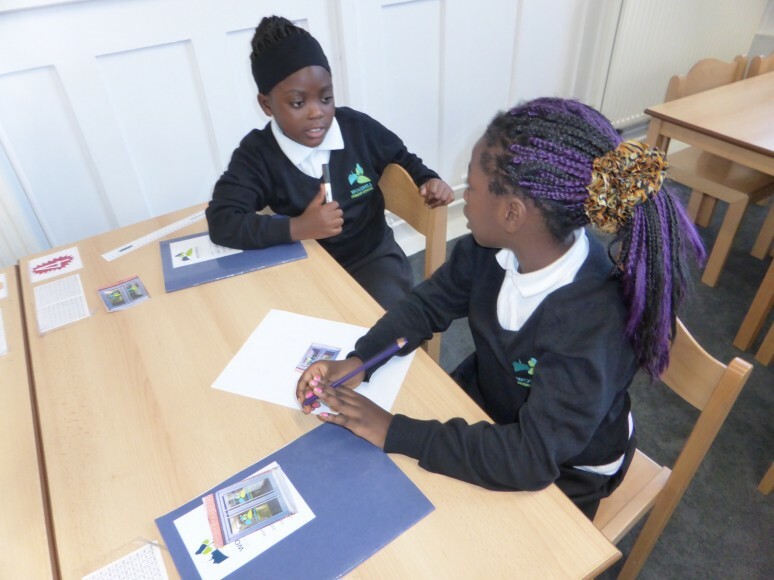 All children have access to a wide variety of books in classrooms and are encouraged to choose a book of their choice and also a book levelled at their ability. Parents can support their children's learning through reading with them every day and taking children to the local library to read about our topics. Our learning during the Spring Term will have an overarching theme of Sustainability. This is will be explored through the first half term in which we will reflect on ‘Conservation’, and will do so through our core texts: ‘The Wilderness War’ by Julia Green and ‘Can We Save the Tiger?’ We will use both of these inspiring novels to explore various areas of the curriculum and the global learning goals in an exciting and creative way, giving our pupils opportunities to grow and develop via relatable experiences that will allow them to reflect on their own choices and identity how their current decisions can impact their future. Over the first half term in English, we will be developing our fictional writing, through our core text, ‘The Wilderness War’. We will be using this to develop our vocabulary and word choices to create a suspense filled narrative. The second half term, we will be exploring the text, ‘Can we save the Tiger?’ by Gill Lewis. In which we will be learning the skills required to write a documentary. In the first half term of Maths, we are continuing to development our knowledge of multiplication and division. In the second half of the spring term we will learn about area, decimals and fractions. 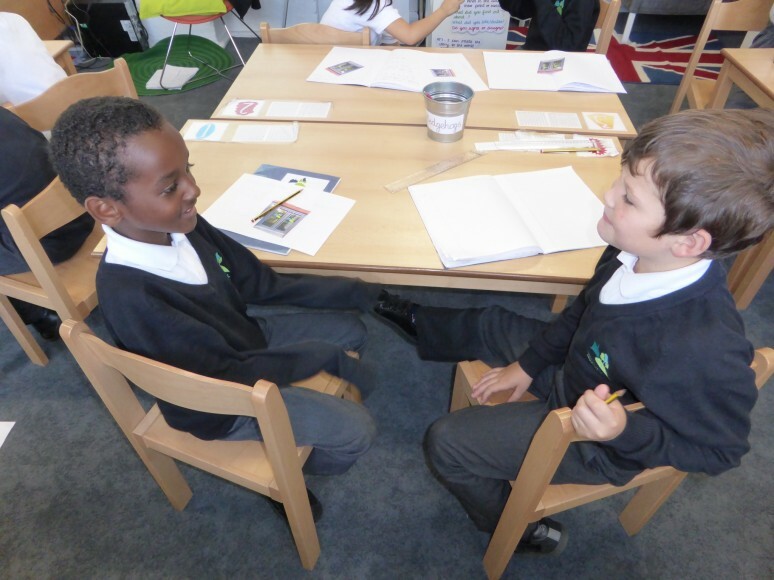 We will apply our knowledge of these subjects to solve a range of real-life problems. To begin with in Science, we will focus on the topic ‘Animals including Humans’. We will be learning about the classification of animals which will allow us to make links to our core texts. This year, we have begun to develop a curriculum based around global learning. Through this, we want to help children make sense of an increasingly globalised, complex and rapidly changing world. This style of curriculum will enable critical thinking about world issues, develop awareness of how our own actions can have on others and the wider community as well as help children to develop attitudes and dispositions to make a positive contribution to the world. Each half term pupils will undertake Diversity, Community & Global Learning Project linked to seven global themes. This first half term, Year 4 are looking at the global theme of Sustainable Development. Our final project outcome will be writing, producing and performing a documentary about the importance of bees which will be shared with the Woodhill community. In Art, we will be creating a collage of a landscape scene. We will be considering textures and patterns which can convey our emotions through our landscape. 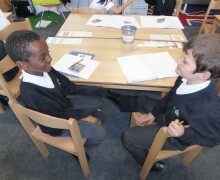 In Year Four, pupils are able to change their reading book each week. Parents can support their child's learning through reading and discussing the books daily, and by giving children the opportunity to visit the local library to read about and research our topics. In line with the weekly theme, there is regular homework, which consists of Maths and English tasks, and occasional project work linked to our topic. Pupils are also expected to read daily, for at least 10 minutes.